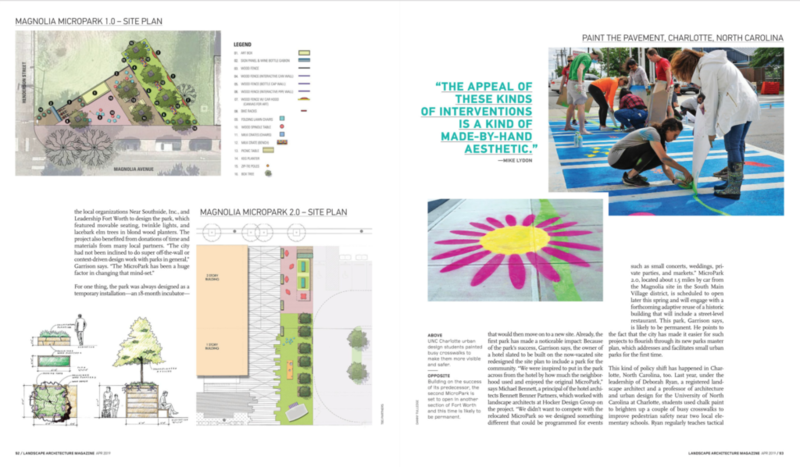 Once thought to be an urban design trend, April’s Landscape Architecture Magazine focuses its April issue on the enduring power of Tactical Urbanism. 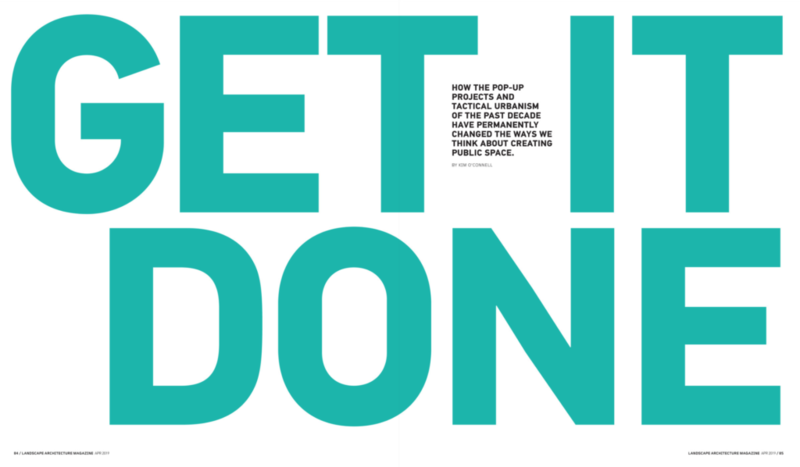 Along with many other colleagues and collaborators, Street Plans’ work is prominently featured in the Magazine’s lead article. 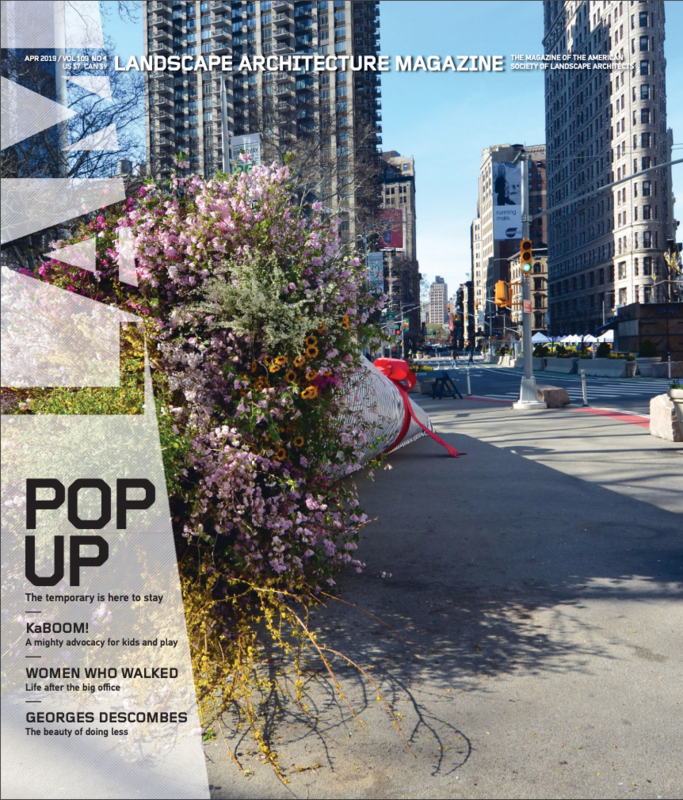 It’s Landscape Architecture month, so the whole issue is free!